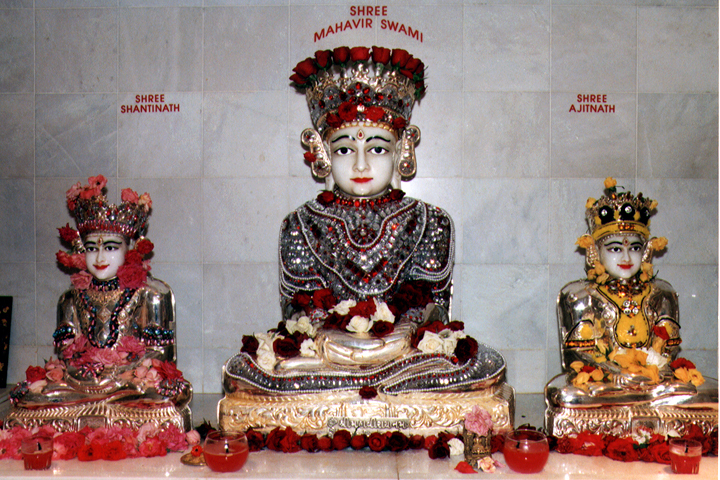 Mahavira is known as a Tirthankara, literally, a “ford-maker,” a spiritual pioneer who is able to ford the river, to cross beyond the perpetual flow of earthly life. 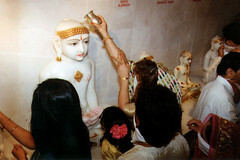 Jains do not believe in the concepts of universal creator, or moment of creation. According to the Jain view, time has no beginning and no end. Rather, it is a perpetual cycle of ascent and decline, one of six metaphysical principles that Jains believe comprise the universe. Times of descent, such as our own, are so clouded with materialism and ignorance that achieving luminous self-realization is very difficult. In each cycle of time there are twenty-four Tirthankaras who are trail-blazers for the rest of humanity. The Tirthankaras, it must be stressed, are souls, the same as all other souls. But in addition to liberating themselves as Jinas, the Tirthankaras spend their lives as teachers, sharing their knowledge with others. The very first Tirthankara was Adinath, also called Rishabha Deva. The twenty-third was Parshvanath, who is said to have lived toward the beginning of the first millennium BCE. The twenty-fourth, and last, Tirthankara in the current cycle was Mahavira, who lived in the sixth century BCE—about the same time as the Buddha. The Tirthankaras are, in one sense, identical, for in the era in which each lived, they taught a truth that is eternal. 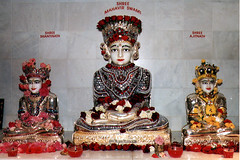 The twenty-four Tirthankaras are present in image form in most Jain temples, but the most common and revered images are these three—the first and the two closest to the present time. They are differentiated in their images by the different symbols of animals and elements of nature that accompany them. The images of these spiritual pathfinders are honored with all the offerings of flowers, water, and incense that one might see in Hindu temples. 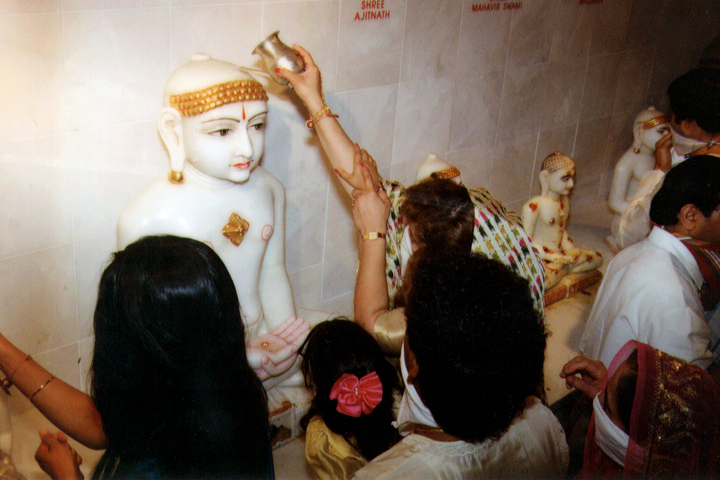 But such acts of honor in Jain temples are symbolic, not done in the expectation of reciprocal gifts. The Tirthankaras are not God or gods in the sense of being creators or providers for the universe who can respond to requests or effect a person’s salvation. Only each individual can accomplish the liberation of his or her own soul.